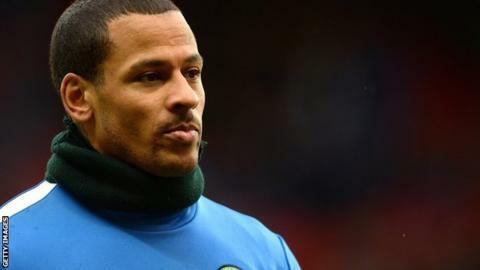 When DJ Campbell stepped out onto the Ewood Park pitch for Blackburn in October 2013, the striker - then earning a reported £25,000 a week - did not expect he would be playing for free at non-league side Maidenhead United barely 12 months later. Washing his own training kit and playing on sloping pitches is a world away from the life to which he had become accustomed during his career, much of which was spent in England's top two divisions. As recently as March, the 32-year-old was scoring goals in the Championship in front of thousands, but on Saturday he could take to the pitch in front of hundreds as Conference South side Maidenhead host Gosport Borough in the FA Cup third qualifying round. But Campbell will not be turning out for a team that plays in the sixth tier of English football because his career is on a downward spiral. The former Birmingham and Queens Park Rangers player is at Maidenhead to rediscover his love for the game, having come close to retiring after being wrongly implicated in a match-fixing scandal. The toughest period of his career began one December morning last year, when a knock at the door at Campbell's home preceded a dramatic arrest in front of his family, and did not end until nine months later when he was finally cleared of any wrongdoing. "The whole situation was a joke and obviously depressing," says Campbell. "It was difficult because after all I had worked for, it tarnished my name and even now you still have managers saying this and that. "But I can't change any of that, all I can do is focus on getting back to where I was. Hopefully I can do that." Campbell was one of six people arrested in connection with allegations of fixing in football matches, which came after ex-Portsmouth defender Sam Sodje allegedly told an undercover newspaper reporter he could arrange yellow and red cards in exchange for cash. Sodje was later cleared. Released on bail following his arrest, Campbell tried to focus on his football, but he was loaned by Blackburn to Millwall in January before leaving the Ewood Park club by mutual consent in July. It was the culmination of a difficult time in Campbell's life. Having climbed from non-league to the Premier League with Birmingham, QPR and Blackpool, an increasing number of injuries in recent years - coupled with the spectre of the match-fixing allegations hanging over him - almost became too much for Campbell. "It was all new things to deal with and my dad passed at the same time while the match-fixing rubbish came up, so it was a lot to handle," he says. "I got to the point where I thought 'what is the point?' I didn't need all these problems and for what? "But at the same time I reflected on my career. "I had done a lot to come from nothing and really make something of myself, why would I throw it all away because of this? "There were plenty of people in a worse position than me who would love to play football, so I just decided to get on with it and do what I love." After leaving Blackburn, Campbell hired a personal trainer and took to training on his own in a park. It was during that time he received a call from current Maidenhead boss Johnson Hippolyte - Campbell's friend, mentor and former manager at non-league Yeading, one of the striker's first clubs, over a decade ago. Campbell credits Hippolyte, "Drax" to those who know him, as the man who kick-started his career, having convinced him not to quit football as a teenager after being released by Aston Villa. Consequently, when Hippolyte made a tongue-in-cheek comment about joining Maidenhead, Campbell took it more seriously. "The move will have surprised a lot of people but if there was anyone I was going to play for at this level it would be Drax, we have a lot of history together." There was, though, the issue of wages. Maidenhead clearly had no chance of offering Campbell the kind of money he had been accustomed to during his Premier League and Championship days. But the discussion never came up. "It is not all about the money," Campbell says. "It is about being happy and I have not been happy the last few years with all that has gone on. "It is easy to think all footballers are motivated by money, and I could have signed for a club and just sat on the bench and taken a wage but I decided not to do that. "I've decided to play for Drax and get back to doing what I love doing." Hippolyte adds: "He is not getting paid at all. "The players were really keen for him to stay and play for Maidenhead when he was initially just training with us, so much so that they offered a whip-round for him. "But it was never about the money for DJ, he just wants to play and enjoy himself again, and we want for him to show that he is still hungry and still has the ability." That ability is clearly still there. In front of a crowd of about 400, Campbell scored on his debut last month as Maidenhead beat Faversham Town 4-0 to progress to the FA Cup third qualifying round. To grab a goal in the competition, with Hippolyte watching on from the dugout, will reignite memories of the famous FA Cup run the pair enjoyed at Yeading back in the 2004-05 season. Campbell scored seven goals in the competition to help Yeading reach the third round, where they lost 2-0 to Newcastle. But, having held out impressively for 50 minutes against the Premier League side, with the game broadcast to millions on BBC One, Campbell caught the eye, with Brentford giving the then 24-year-old his first chance in professional football. From then on he flourished, scoring 12 goals in six months - including a double in a 2-1 win against Sunderland in the FA Cup which earned him a move to Birmingham City, then playing in the Premier League. "The FA Cup really put me in the shop window," remembers Campbell. "It made me get noticed because in those days it was tough for non-league players, not many got the chance they seem to do now. "My form in the competition helped get me my move to Brentford. I continued to score lots there and Birmingham manager Steve Bruce was in the crowd when we played Sunderland in the FA Cup. "I think he was looking at another player, but I scored twice and caught his eye, so that was a blessing." With just two qualifying rounds remaining in this season's competition before the first round proper, Campbell hopes to be able to score the goals that could help Maidenhead replicate Yeading's famous FA Cup run from a decade ago. But regardless of whether the Magpies can achieve that, Hippolyte, remembering the talented 16-year-old he first spotted playing in a park near his home, hopes Campbell will not be around long enough to be part of it. "I really wish Saturday is his last game," he says. "In a perfect world he will play for us, score in the FA Cup and get us through and get his move on Monday. "As much as I would love to keep him here, as a father figure he should not be playing anywhere near this level." Considering the FA Cup arguably made his career in professional football, it would only be fitting if the competition now resurrected it.